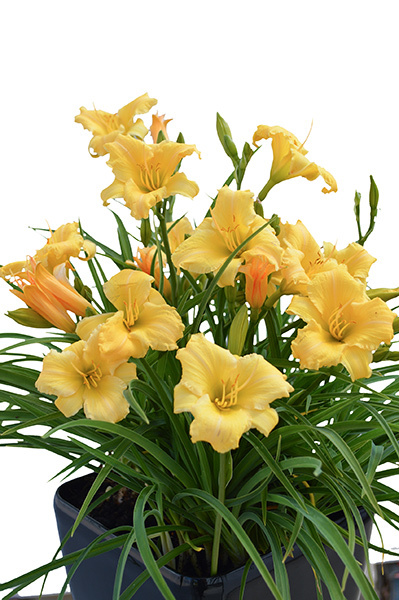 Commonly known as 'Day Lily', members of this family are known world wide for their hardiness, beauty and reliability and H. 'Stella Bella' is no exception. 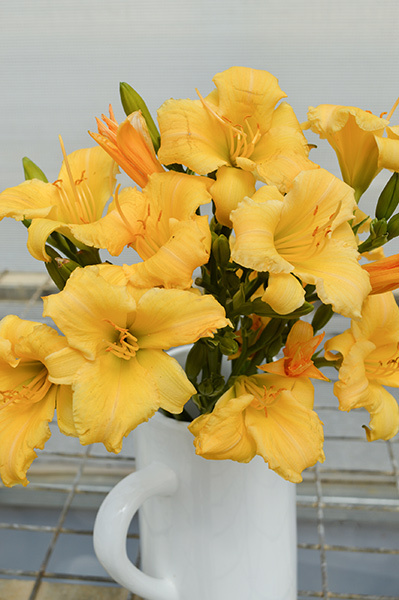 The golden yellow flowers are produced in great quantities on 50cm long stems. In addition to its beauty this particular variety stands apart from the rest in its remarkable ability to bloom and re-bloom for up to six months of the year. Foliage is strap-like reaching approximately 40cm in height and, unlike many other varieties in the family, is evergreen. A truly rewarding plant for the novice and experienced gardener alike. 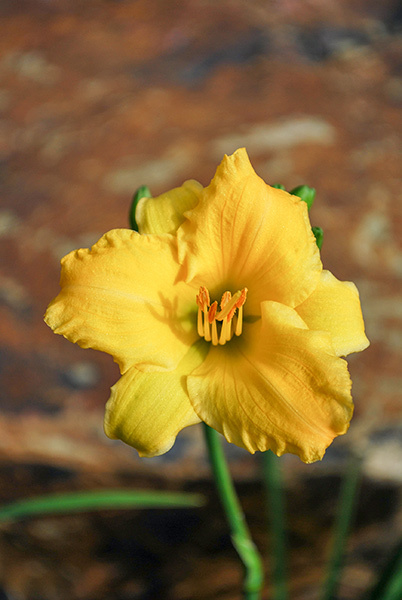 This very tough plant will survive in most soil types where many other plant species may not but naturally a rich, moist soil that is well drained will provide you with optimum performance giving you a consistent and prolific display. Choose a full sun location as shade will diminish flower production. Frost hardy and drought tolerant given occasional deep watering during extended dry periods. No pruning is required although removing spent flowers will encourage further flushes. Most effective when grown in informal 'clumps' scattered through the perennial border. Provides an attractive and eye-catching display when used in mass plantings and is ideal for covering areas requiring low maintenance. Will work well in most colour schemes unless you wish to mix with pinks. In this instance it would be recommended to use deep, hot pink colours rather than soft, pastel pinks. Interesting effects can also be created by using green flowering or foliaged plants as the main structure of your border or bed allowing the golden flowers alone to add drama to the landscape.